It’s been a quiet weekend because the whole family has been poorly with another cold. I haven’t ventured far out at all, despite the nice weather, opting instead to sit inside under a blanket and feel sorry for myself. We used to be so fit and healthy, but as soon as young Scarlett started going to nursery we’ve succumbed to every single bug and virus that’s gone around. ‘Scarlett fever’ – ha ha! 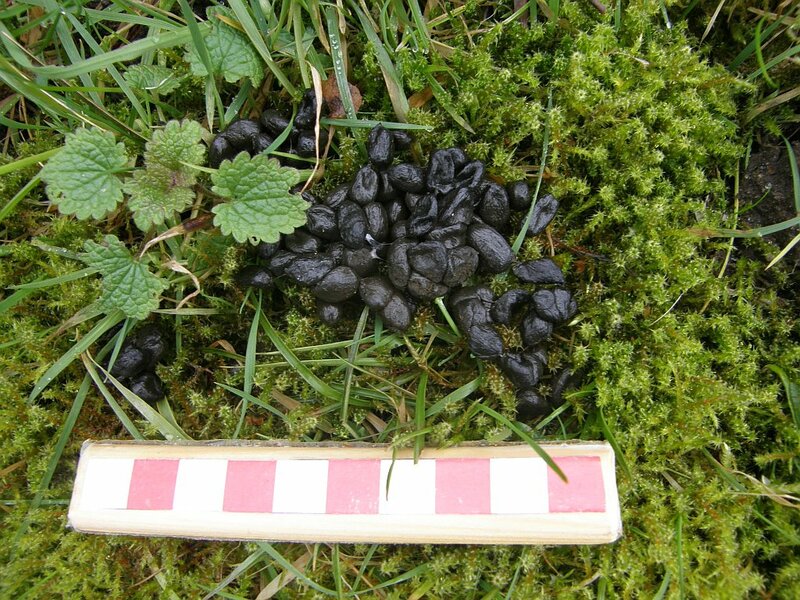 As a result of my moping, the only little snippet I can add to the body of naturalist knowledge this week is a picture of the droppings of a Chinese Water Deer from the garden. It isn’t much, but they’re not a common deer species so it’s useful to have a record. you know I’d have completely overlooked that, discarding them as perhaps sheep droppings, thanks for the pointer.